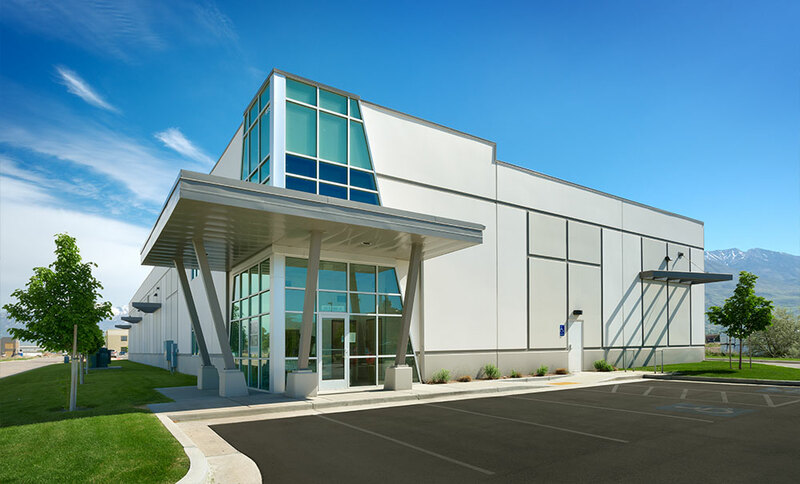 Sam White office warehouse uses tilt-up concrete construction with exposed structural steel member awning features. The building is the third building on the property which includes a dedicated wetlands area. The facility features a dock with flexible warehouse space. A two story office space includes conference, training, break and other support rooms including a two story entry lobby.